Distrustful of the police, Sara turns to Crimson Lake's unlikeliest private investigators- disgraced cop Ted Conkaffey and convicted killer Amanda Pharrell. This case just the sort of twisted puzzle that gets Amanda's blood pumping. Hades, Candice Fox's first novel, won the Ned Kelly Award for best debut in 2014 from the Australian Crime Writers Association. The sequel, Eden, won the Ned Kelly Award for best crime novel in 2015, making Candice only the second author to win these accolades back to back. Her third novel, Fall, was shortlisted for the 2016 Ned Kelly and Davitt awards. 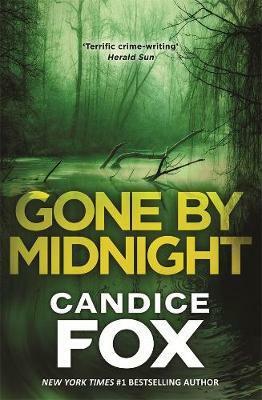 She is also the author of the bestselling thrillers Crimson Lake and Redemption Point, featuring ex-cop Ted Conkaffey. In 2015 Candice began collaborating with James Patterson. Their first novel together, Never Never, set in the vast Australian outback, was a huge bestseller in Australia and went straight to no.1 on the New York Times bestseller list in the US and also to the top of the charts in the UK. The sequel, Fifty Fifty, reached no.2 in the States. Their third novel together, Liar Liar, will release in July.